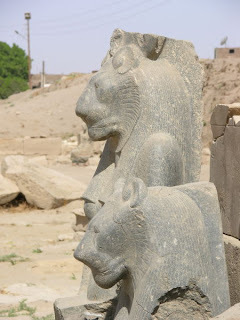 Harwa was an important man in ancient Egypt. He was an important figure in the life of Amenirdis I of ancient Egypt’s XXV Dynasty. 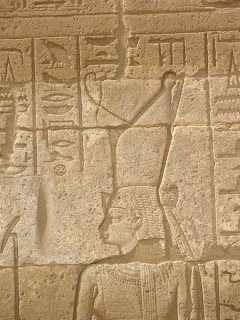 He acted as the ‘Chief Steward’, or ‘Grand Steward’ for Amenirdis I, as God’s Wife of Amun and also whilst Queen Amenirdis served as Divine Adoratrice. 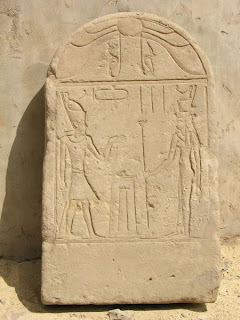 Additionally, he held the title (as High Priest) of “Doorkeeper in the Temple of Amun”. The tomb (TT37) is large and in the “Osiris Hall” there is a wall relief describing the moment of the death where Harwa is shown ‘between worlds’, and separated from his physical body, with Anubis holding one hand. Harwa then exists in two dimensions – in the Land of Osiris and still in the land of the living, just. 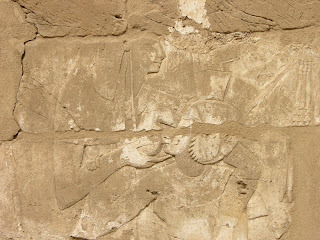 Harwa’s tomb shows the moment of death in its supreme glory and Harwa continues to be shown ‘in the middle’, almost in a freeze-frame relief with both his Ka and brain conscious. 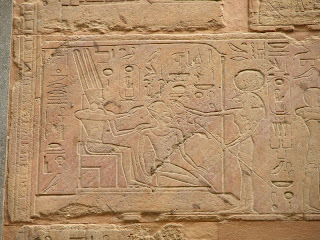 This is highly unusual in ancient Egyptian scenes. 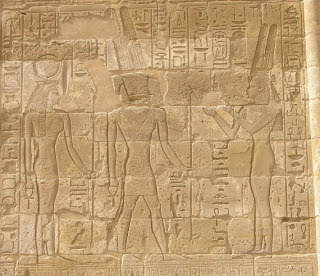 A text well-engraved on the southern wall of the passage leading to the First Pillared Hall enumerates his good deeds having recourse to the most typical phraseology of the Egyptian “ideal biography”. It is Harwa himself who is speaking. He tells the visitor to the tomb: “I gave bread to the hungry man, clothes to the naked man”. 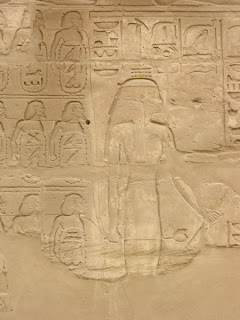 ‘Coincidentally’, Amenirdis I is said to have served as God’s Wife of Amun, Divine Adoratrice (or Divine Votaress) and “God’s Hand” for approximately forty years. It is my personal belief that Amenirdis I and Harwa had a close relationship and ruled ‘together’ (under various roles) from ancient Thebes at approximately the same times in ancient Egypt. As far as it is known, it is the only example of non-royal ushabty displaying such a characteristic. If this assumption is confirmed by further excavations, then the positions of Montuemhat and Petamenophis will have to be reconsidered. They chose in fact to place their tombs east and west of the tomb of Harwa as if they attributed a high reverence to him and considered him a sort of ancestor. 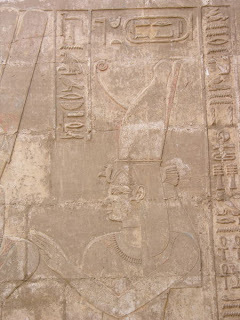 In this frame one has to ask: is it possible to speak of a “dynasty” of functionaries governing the Theban region with the consent of the Nubian kings? If this proves to be true, then, as they did not belong to the one family nor did they share the same titles and position, what was the mechanism of succession of these functionaries? No-one yet knows the answer to that question or the countless others raised by the life, works and tomb of Harwa, Grand Steward in the Precinct of Amun. 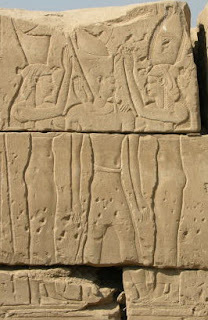 Upper Egypt was ruled well under the governance of these two mighty figures (and others) and for forty years, approximately, Upper Egypt was relatively peaceful (as opposed to the XXIII to XXIV Dynasties political and religious unrest and turmoil) whilst Pharaoh Shabaka (Amunirdis I’s brother) ruled from Memphis. Even after the death of her brother, Amunirdis I remained in control and acted, along with others, as the First Prophet of Amun, answering the State’s needs on many levels. Order was temporarily restored and both Amunirdis I and Harwa played a major role in ancient Egypt at that time.